In October 2015, Chanelle invited Sarah out to their farm to take their family photos. Fast forward a few playdates, a litter of puppies, a couple dozen coffees, a bottle or two of home brew Elderflower wine, a bit of long distance running, endless banter and here they are nearly a year later. 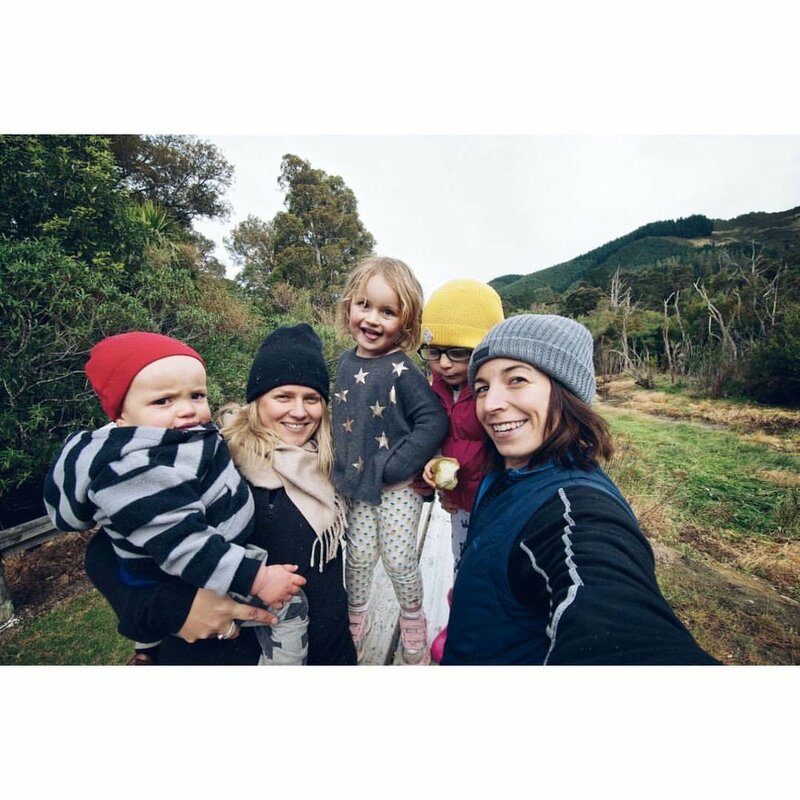 Over the autumn and winter months they rugged up the kids and dragged them out through local walks and were stoked to discover the kids absolutely loved it. It was just their luck that their combined three kids and husbands (not to mention two fur babies) all get along with each other as well. Thoughts then turned to spring, summer, beautiful camping spots, hiking trails and endless photography opportunities with an aim to document and share their experiences. Chanelle comes from a blogging & social media marketing background and runs Just a Farmer's Wife, and Sarah is the owner/photographer of Sarah Drummond Photography, so with their combined efforts and a mutual love for well, just about everything, they have decided to come together and create The Wilder Seven. Follow along their journeys through the back roads and trails in the stunning South Island of New Zealand. You never know - it just may inspire you to have some adventures of your own.